Thanks to the lovely people over at Marvel, we’ve got another competition for you! 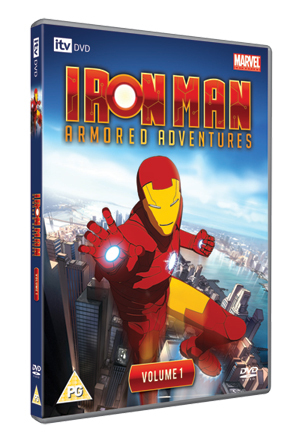 In the 5 days running up to the release ofÂ Iron Man: Armored Adventures on DVD, we’ll be giving away 1 DVD a day via Iron Man related questions posted on our twitter feed. First person to DM or @ reply us the answer to the question each day will win a copy of Iron Man: Armored Adventures on DVD. First question will go out next Tuesday (Sept 1st 2009) at www.twitter.com/geektown, so sign up now to our twitter feed to be in with a chance to win! View the full rules of the competition here. Click here for more information on Iron Man: Armored Adventures. ← Summer Glau Enters The Dollhouse!